Stainless steel tops have square edges and use 304 grade steel in 18-gauge applied over 1-1/8” thick Industrial Particleboard. 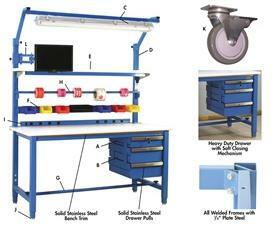 We also offer 20,000 lb. 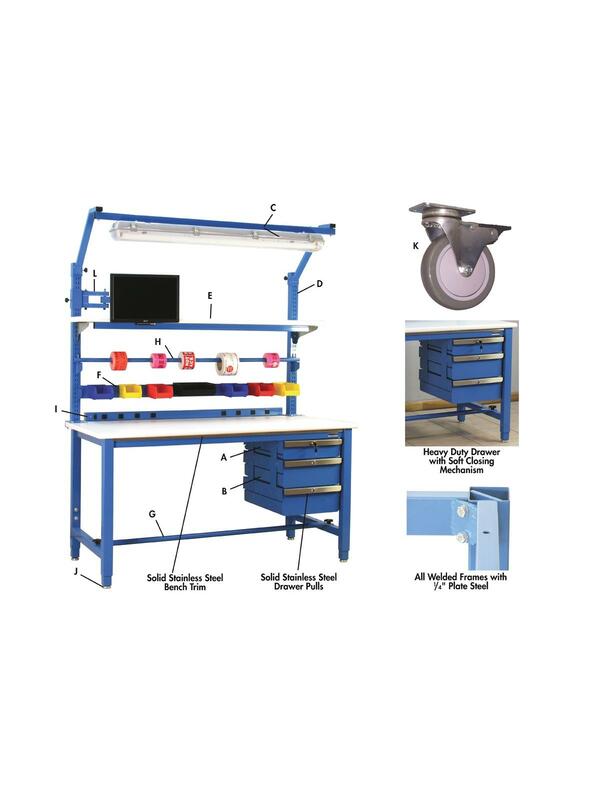 capacity workbench, laboratory workbench, Class 100 Cleanroom, CleanRoom ESD, Abrasion Resistant, Chemical Resistant, Galvanized and disposable tops – call for prices. FOB Shipping Point. To order these colors, add a SKU to your shopping cart and indicate the desired color in the comments section. 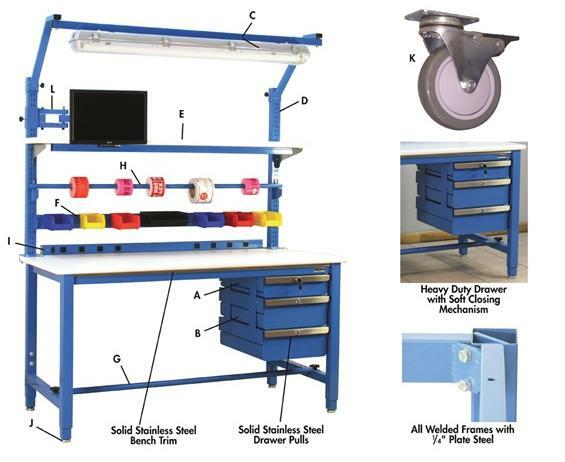 See the Related Items tab below for 5,000 Lb Capacity Kennedy Series Workbenches - with Butcher Block Top, 5,000 Lb Capacity Kennedy Series Workbenches - with Heavy Formica™ Laminate Top and 5,000 Lb Capacity Kennedy Series Workbenches - with Heavy Lisstat™ ESD Top.